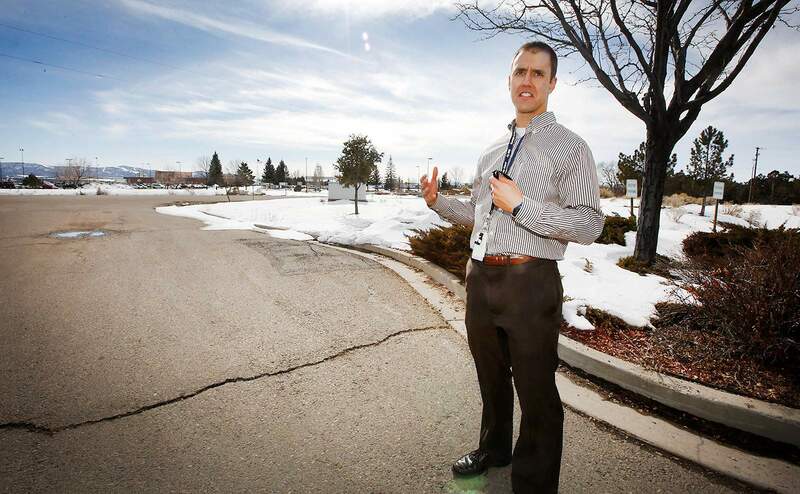 Tony Vicari, director of Durango-La Plata County Airport, stands Tuesday on land the airport will buy from Koinonia Properties LLC. The 12.5-acre parcel will be used for passenger vehicle parking among other purposes, which could free up land for a possible terminal expansion. Durango-La Plata County Airport has been given the green light to pursue a $3.9 million purchase of 12.5 acres to help meet future expansion needs. La Plata County commissioners on Tuesday unanimously authorized the airport to enter the contract agreement. Durango city councilors approved the matter last week. The proposed expansion was announced earlier this month, which would have the airport acquire the property adjacent to the airport, on the northeast side. The purchase will be funded by existing fees from the “Passenger Facility Charge,” a $4.50 fee assessed to every airport passenger. That way, the expansion would be funded entirely by people who use the airport, said airport director Tony Vicari. 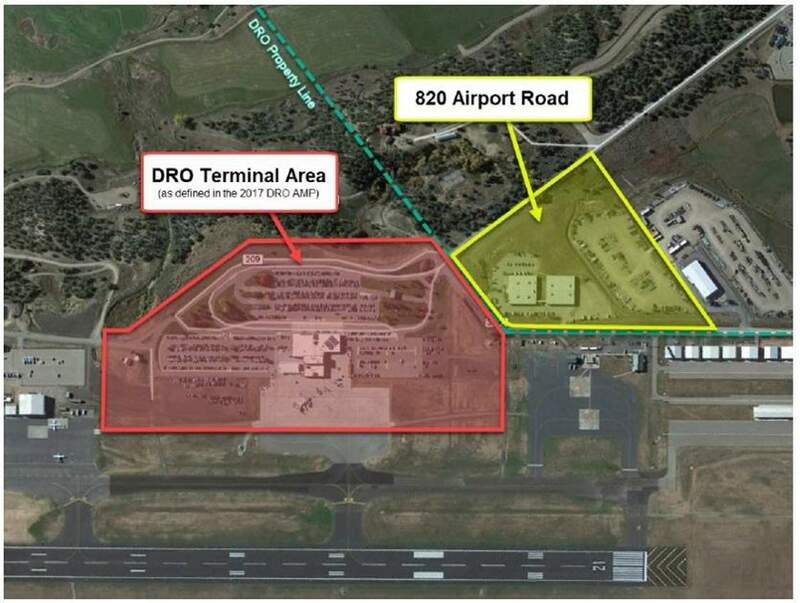 Durango-La Plata County Airport Director Tony Vicari said land being purchased adjacent to the terminal will likely be used to expand passenger vehicle parking, rental car facilities and a circulation road or airport road realignment, which could free up land for a possible terminal expansion. Vicari said for at least two years, while long-term plans for the property are sorted out, the airport will continue to lease the buildings to Crossfire, bringing in about $12,000 to $16,000 a month. Vicari also said about 92 percent of the purchasing price is eligible for a reimbursement from the Federal Aviation Administration. The land is likely going to be used for passenger vehicle parking expansion, rental car facilities and a circulation road or airport road realignment, which could open land for possible terminal expansion, Vicari said.